law & order | Radio vs. the Martians! We continue our talk with Greg Hatcher and dive into the world of comic books and beyond! 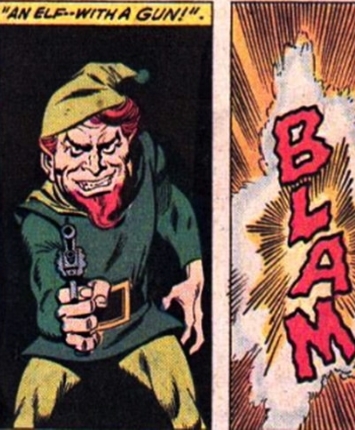 We reminisce about Marvel’s 1970s misfit superhero team, the Defenders, and an absolutely batshit tale from writer Steve Gerber that includes stolen brains, absurd body horror, elves with guns, and the soul of an evil wizard trapped in the body of a baby deer! Plus, we look at the strange turn that comic book scribe Mark Millar’s work has taken in his new series Huck, which is a radical departure from his regularly shocking, cynical and violent stories. We talk about fan entitlement and the ups and downs of finite vs. ongoing storytelling.